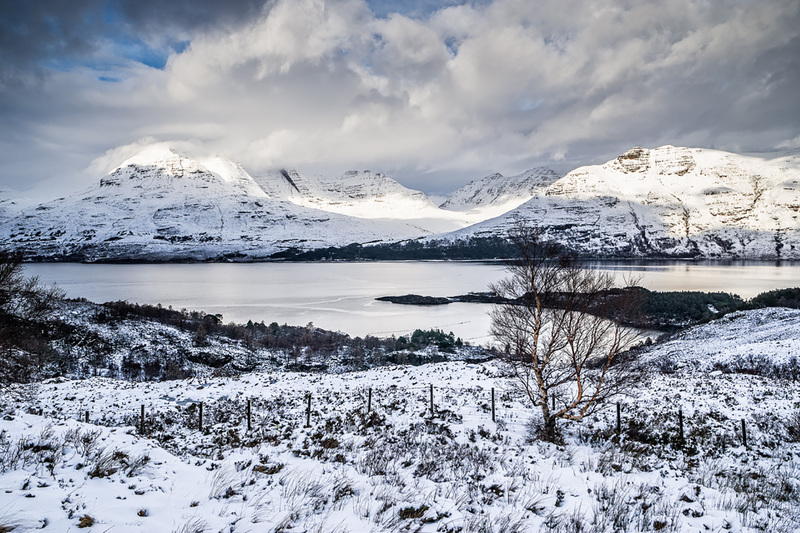 Strange coloured lights flickering in the night sky; vast, freezing lakes under a pale sun; hulking mist-covered mountains with names like Beinn Alligin and An Teallach… You don’t have to read Lord of the Rings or even get on a plane for these things. Britain is a wild, mysterious country. 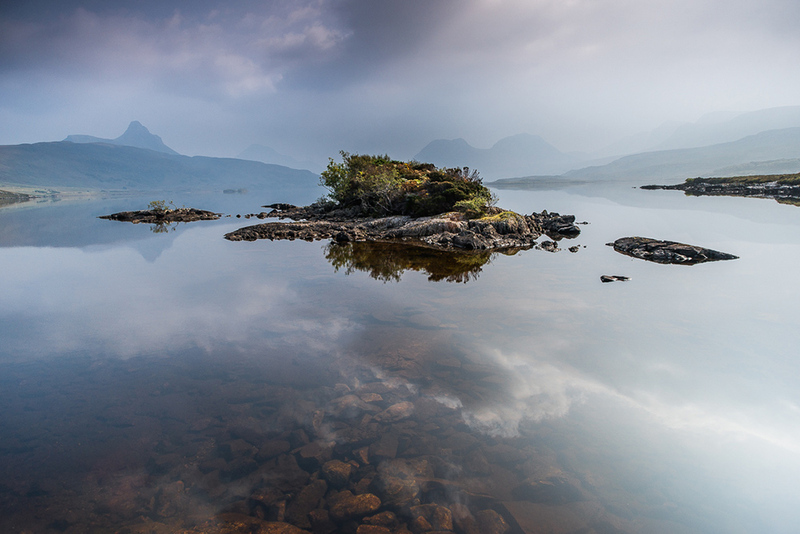 The photographer Mark Appleton is a Yorkshireman who has made his home in Wester Ross, an area of the western Scottish Highlands that boasts some of the most spectacular, imposing landscapes to be found anywhere in the world. 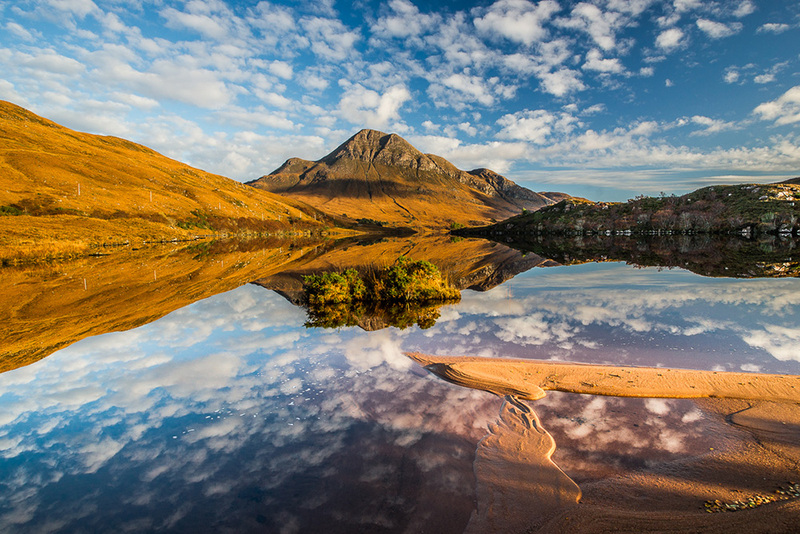 Now he captures those landscapes – not just mountains and lochs, but beaches and seascapes and rocks and waterfalls too – and gifts them to his followers in the form of stunning, award-winning photographs. 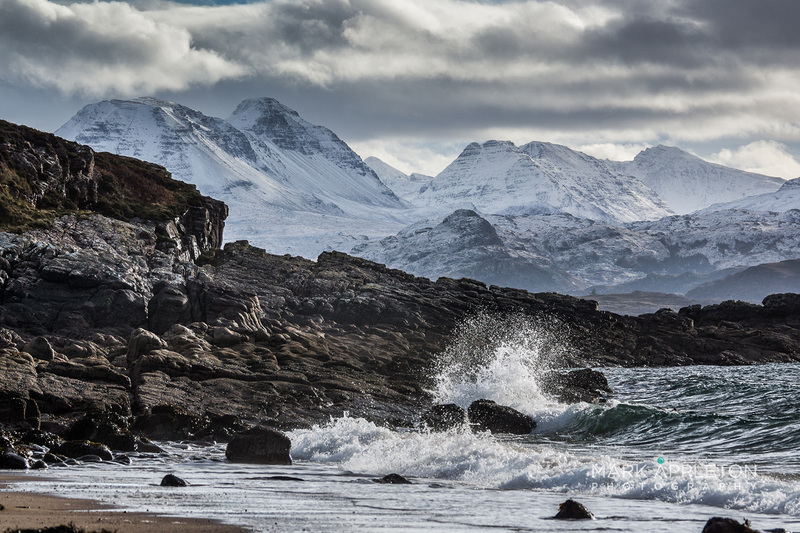 Mark first visited Wester Ross on holiday almost 30 years ago. He instantly fell in love with the place and, as he puts it, ‘from then on the car only pointed north’. Seven years ago he and his wife Jan decided to make it a permanent move, and now they live in a house at the end of seven mile single track road in one of the most remote corners of Scotland. Yet the funny thing is, Mark sees far more of his neighbours here in isolated Opinan than he ever did in the relative metropolises of Leeds or Harrogate. ‘Up here you get to know everyone’, he says. And the local Highlanders are very welcoming of English newcomers, it seems – in fact, there’s even a bit of a community of Yorkshire expats to socialise with. Social media also plays a big part in Mark’s work. 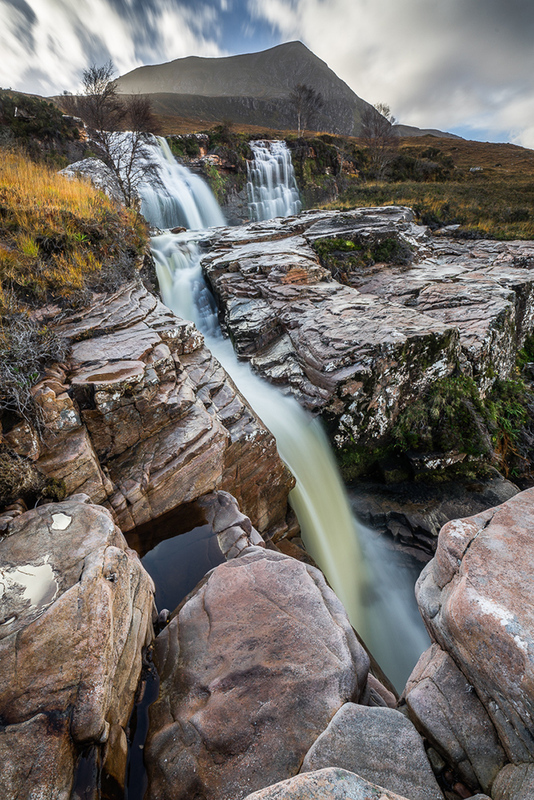 He selected his entries for the 2017 Scottish Landscape Photographer of the Year competition by crowdsourcing opinion from his loyal Facebook fanbase. 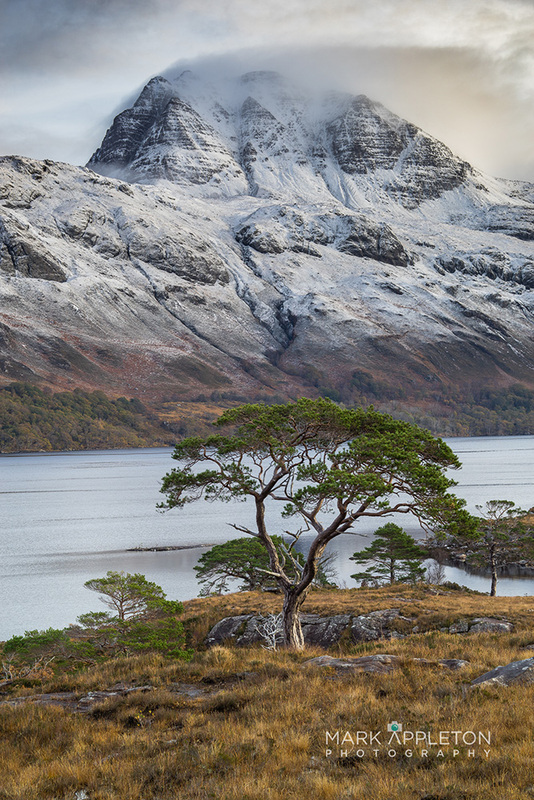 One of the shortlisted pictures, a Scots Pine on the shoreline of Loch Maree with the Slioch mountain rising behind, won the John Muir Trust Wild Places Prize. So for someone who moved to the end of the earth, Mark lives a remarkably sociable life. One gets the impression, however, that he is happiest when he’s a long way from civilisation. 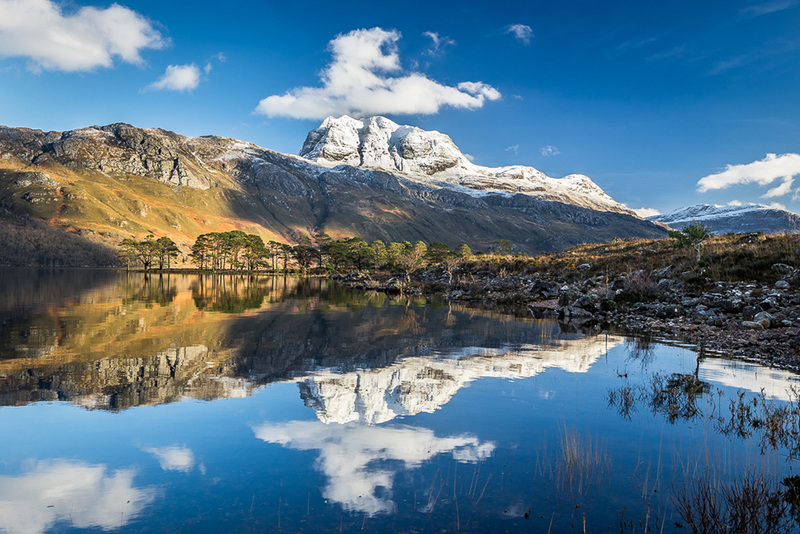 The peaks and glens of Torridon, Beinn Eighe, Liathach, Slioch and the mighty An Teallach are Mark’s spiritual home. 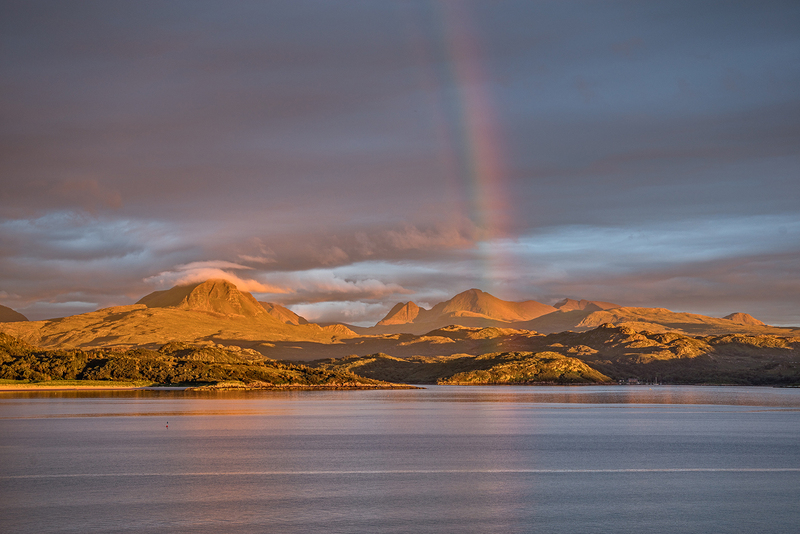 On a typical photographic expedition he’ll rise very early – 2am in the summer – to get into the mountains to catch the light at its best (and to avoid the Highland photographer’s worst enemy: midges, which when they aren’t eating you alive are turning your camera lens black). 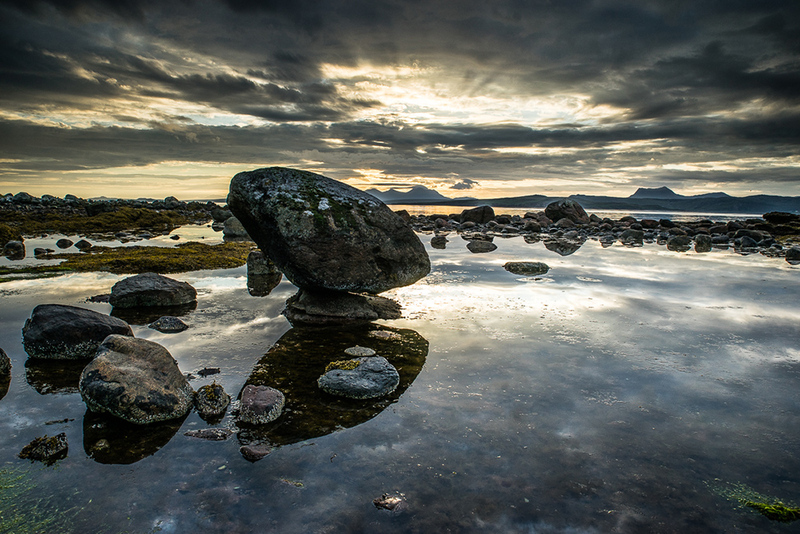 He goes with a definite plan, looking for the right light, foreground interest, and a certain drama in a shot. The beauty of the mountains is that they are always changing. ‘You can go out to the same location ten times and it will be totally different on each’ says Mark. ‘For some reason I want people to appreciate my shots if I’ve gone to a lot of effort… Sometimes you just get out the car and take a picture and it comes out great and it feels like cheating! 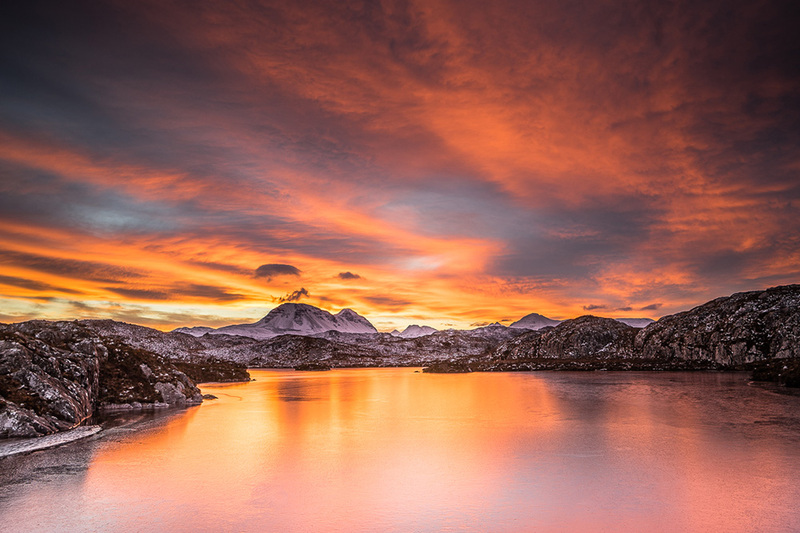 Mark has also developed a specialism in photographing the northern lights, with his images regularly featuring on national television and in newspapers. That’s not easy work. 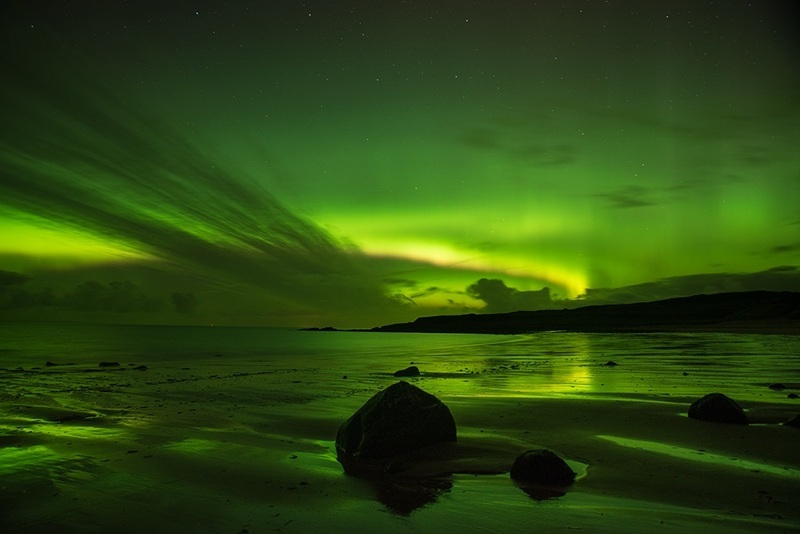 Although the aurora borealis appears in the north of Scotland for perhaps 100-150 nights of the year, it’s usually just barely on the horizon, and the dramatic, multi-coloured fireworks captured right overhead are perhaps only visible on two or three of those nights. That’s something that Mark has proven over and over with his stunning photographs of Wester Ross. You don’t need to board a plane to find the natural wonders of the world: it’s staggering what you can see just a day’s drive north of Yorkshire.